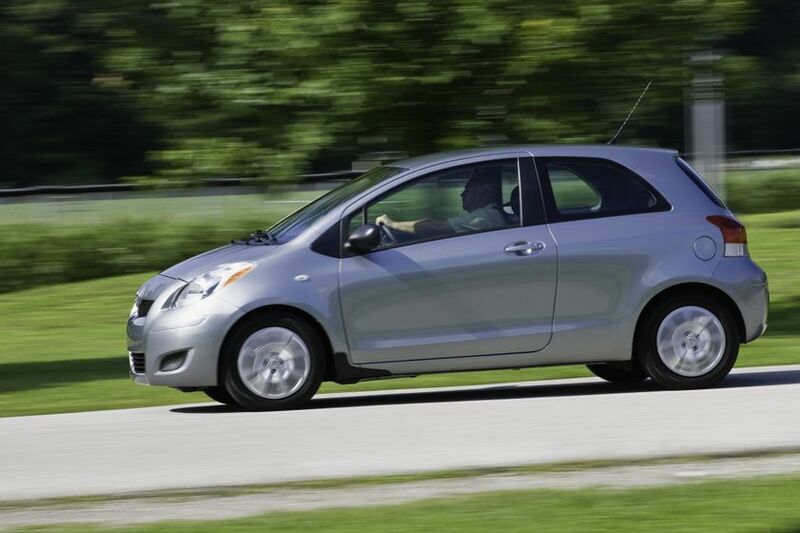 (TORONTO) – New class leading safety features highlight the 2011 Toyota Yaris Hatchback line-up, injecting even more value into the subcompact that packs style, versatility and Euro-tuned performance into an amazingly efficient package. 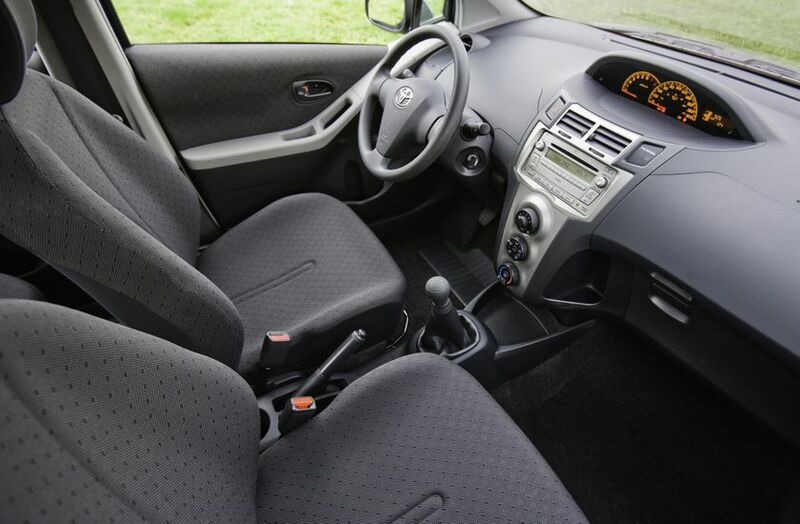 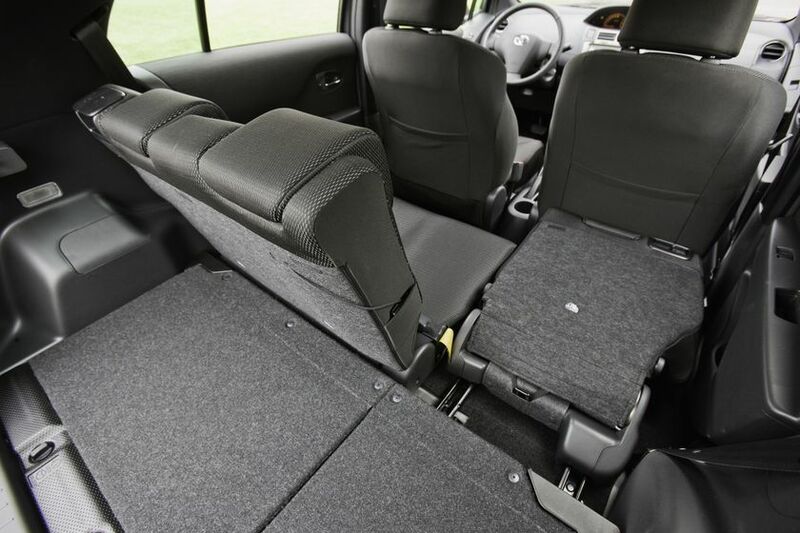 Anchor points for child-restraint seats and – on five-door models – child protector rear door locks. 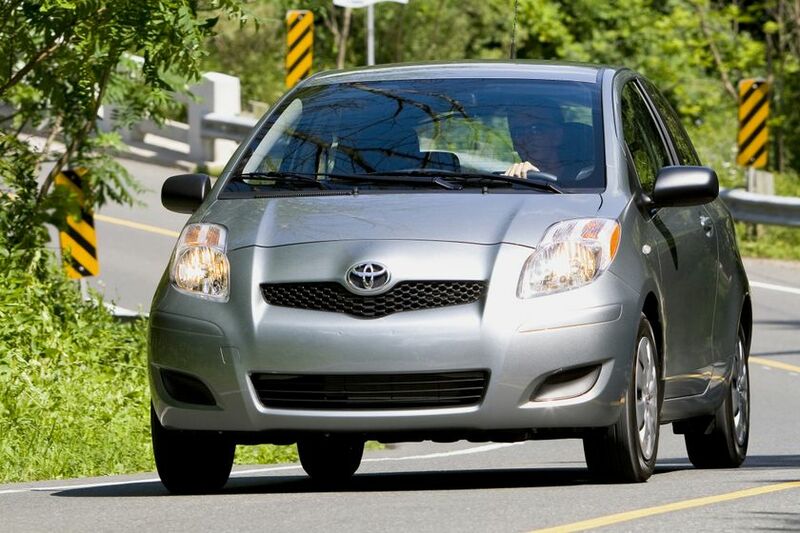 Take to the streets with confidence, thanks to a powerful yet efficient 1.5L 4-cylinder engine that produces up to 106 horsepower and a peak torque of 103 lb-ft, coupled to front wheel drive and a choice of transmission: a five-speed manual or four-speed super ECT automatic with overdrive. 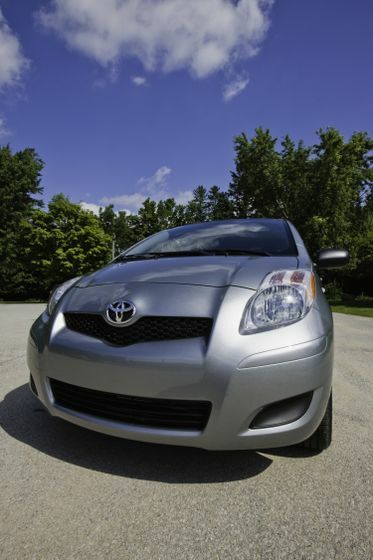 The engine’s lightweight aluminum alloy block, variable valve timing with intelligence and sequential multi-port electronic fuel injection combine to maximize performance while minimizing weight and fuel consumption. 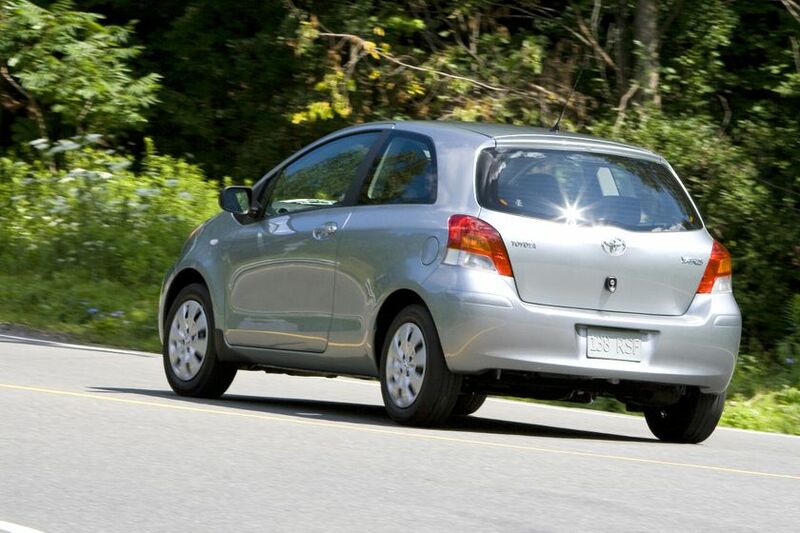 With exceptional combined fuel efficiency of just 6.3L/100 KM (manual transmission) and a Tier 2 Bin 5 emissions rating, the Yaris minimizes its environmental impact while maximizing its driving fun. 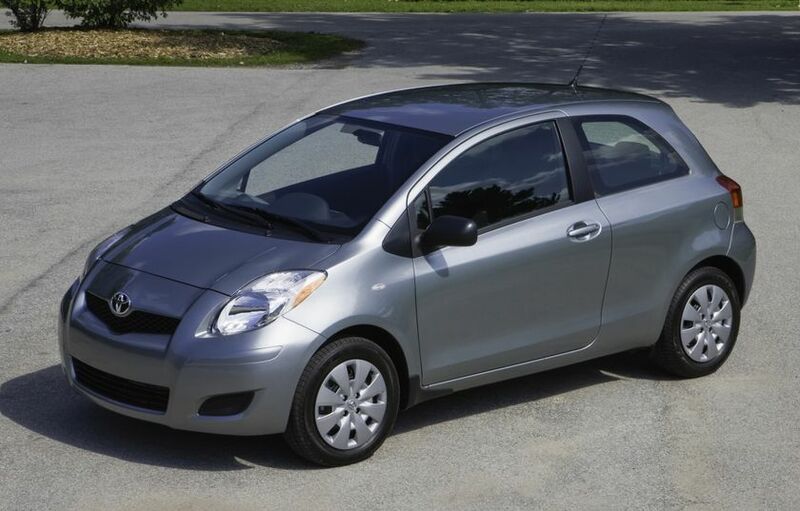 The 2011 Hatchback CE comes with plenty of standard features including: AM/FM/CD player featuring MP3 capability, auxiliary input jack for portable music players, rear seat heater ducts, dual vanity mirrors, passenger-side rear walk-in assist feature; three-spoke steering wheel on tilting column, plenty of smart in-cabin storage including front console box, front seat back pockets, upper and lower glove box, door map pockets, dual exterior foldable mirrors, more than nine cubic feet of cargo space, front splash guards and more. 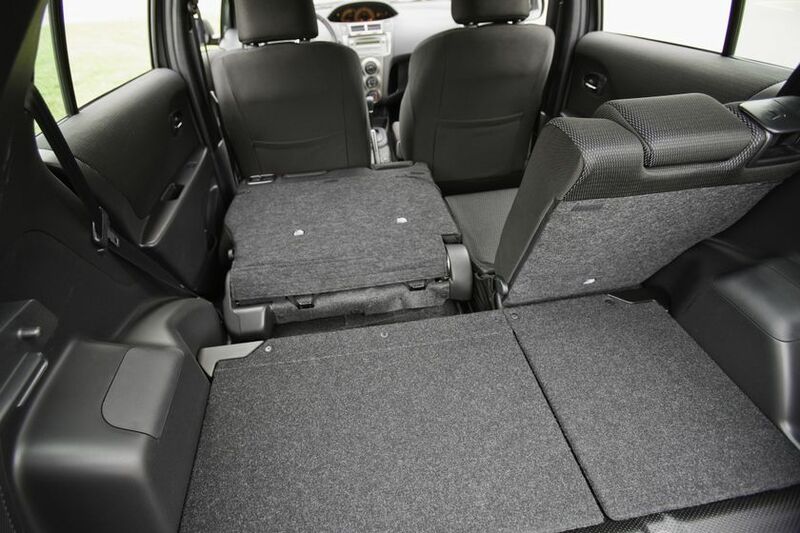 The LE Package adds: two extra speakers, a 60/40 split fold down rear seat, rear splash guards, dual power adjustable and heated exterior mirrors, a rear window wiper/washer and more. 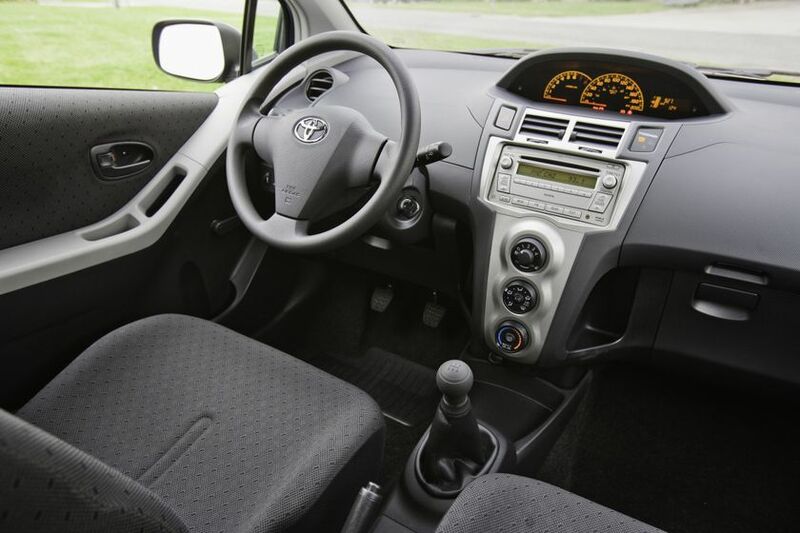 The LE Convenience Package adds all-of-the-above, plus cruise control on automatic transmission models and, power door locks with keyless entry, power windows and air conditioning. 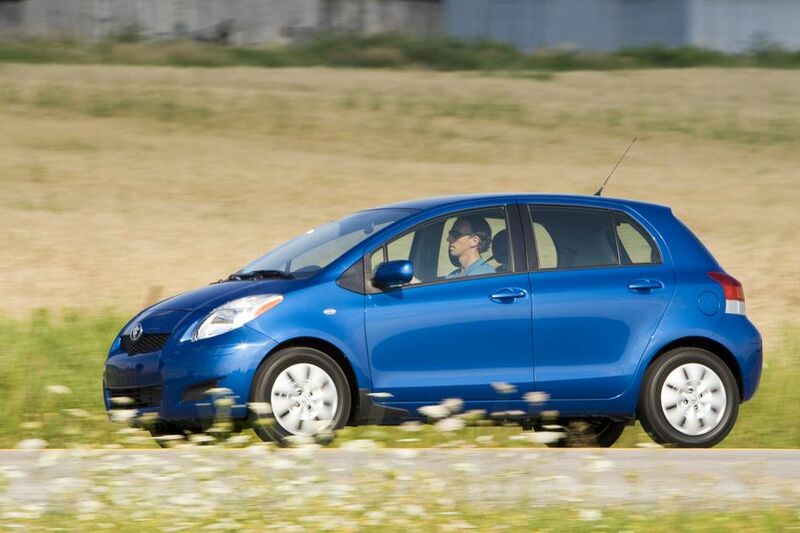 The 2011 Hatchback LE five-door model list of standard features include: AM/FM/CD player featuring MP3 capability, auxiliary input jack for portable music players and four speakers, rear seat heater ducts, 60/40 split fold down rear seats, power door locks, dual vanity mirrors, three-spoke steering wheel on tilting column, anchor height adjusters for the front seatbelts, plenty of smart in-cabin storage including front console box, front seat back pockets, upper and lower glove box, door map pockets, dual power adjustable and heated exterior mirrors, more than nine cubic feet of cargo space, front and rear splash guards, a rear window wiper/washer and more. 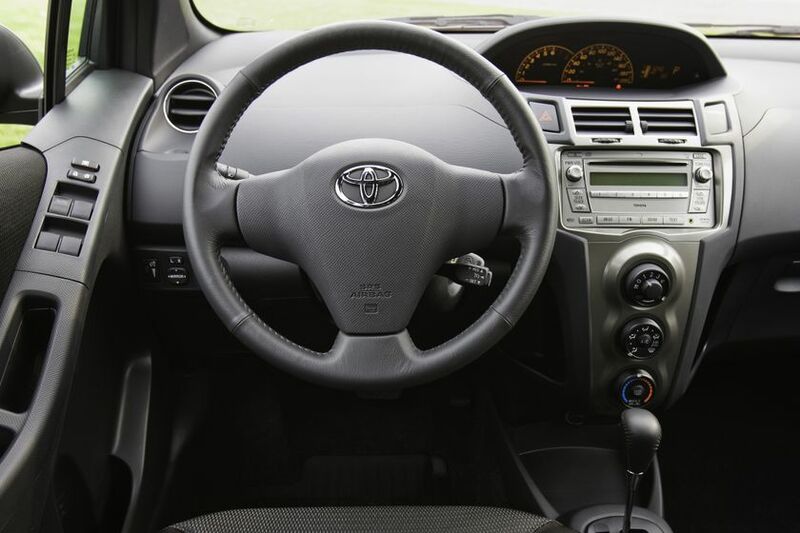 The Convenience Package adds cruise control for automatic transmission models, plus air conditioning, power windows and keyless entry. 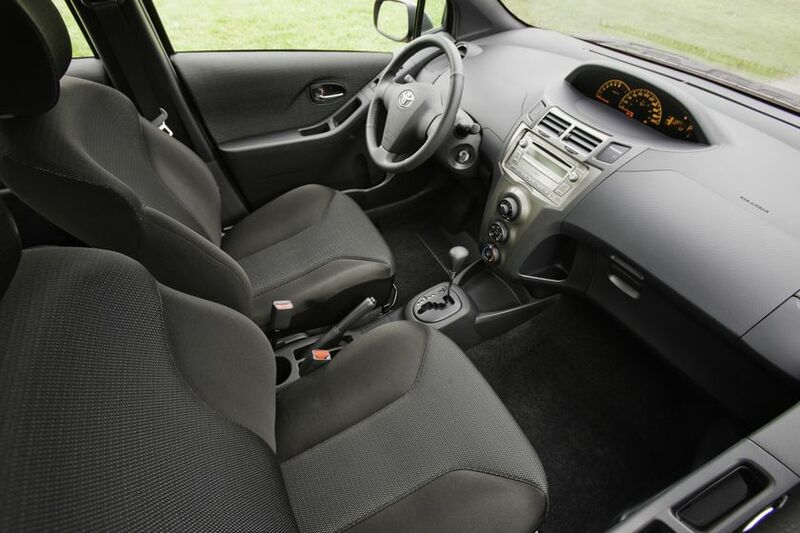 The 2011 Hatchback RS is equipped with a full range of features including: four-speaker audio system with six-disc CD changer, air conditioning, front sport seats, 60/40 split flat folding rear seats with slide adjustment, power windows, power door locks with keyless entry, leather wrapped steering wheel (and on manual transmission models, a leather wrapped shift knob), cruise control (automatic transmission models), anchor height adjusters for the front seatbelts, 15-inch alloy wheels with locks, a colour-matched full skirt package and rear spoiler, fog lamps and more. 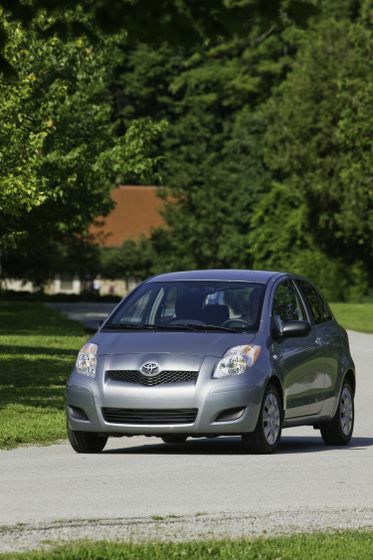 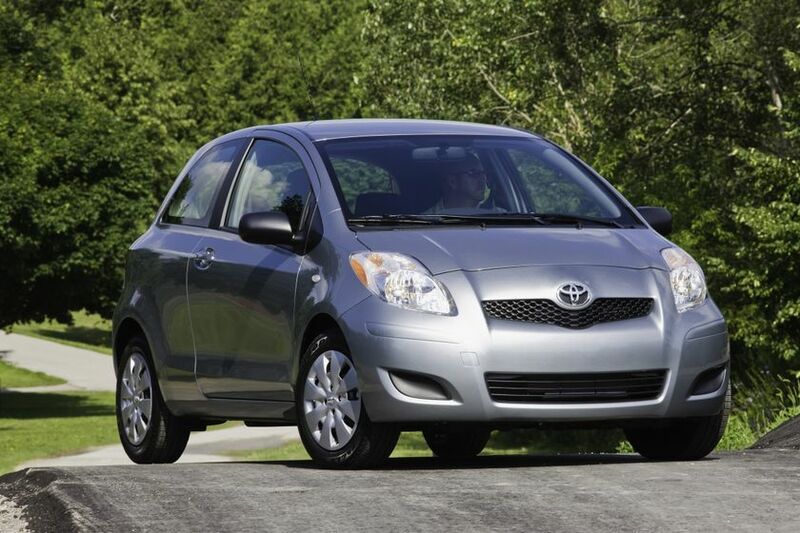 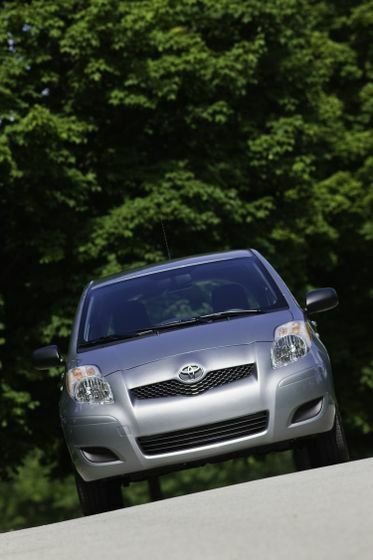 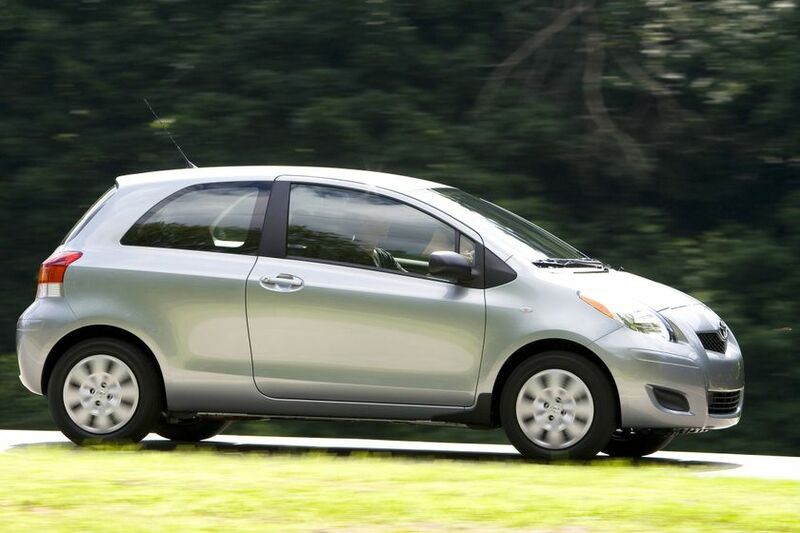 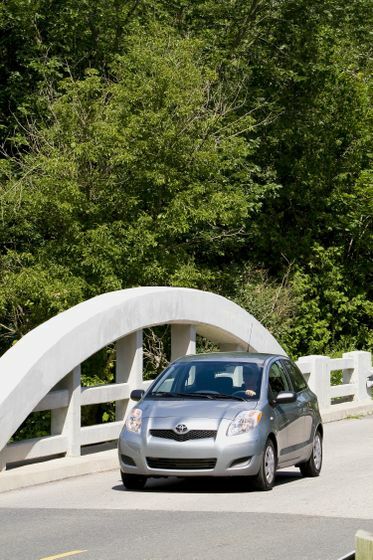 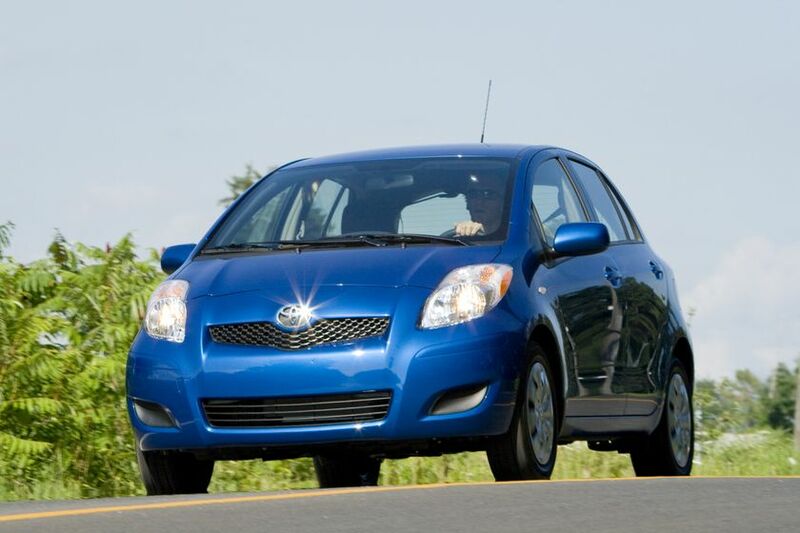 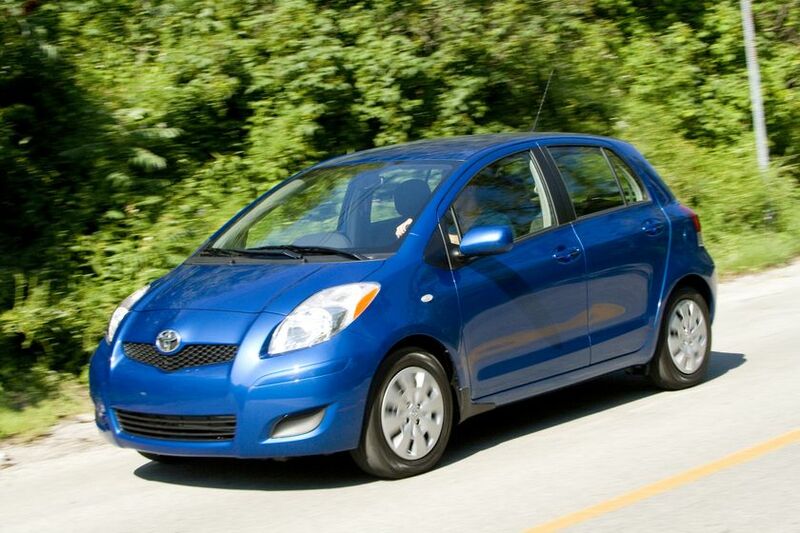 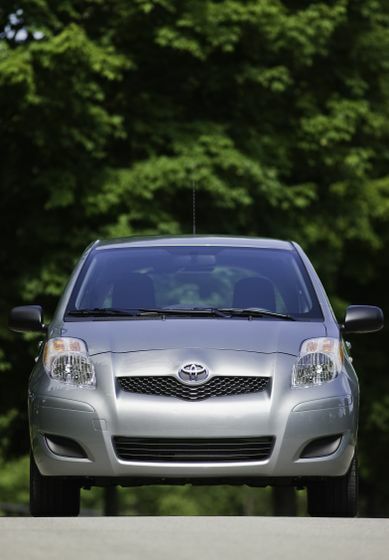 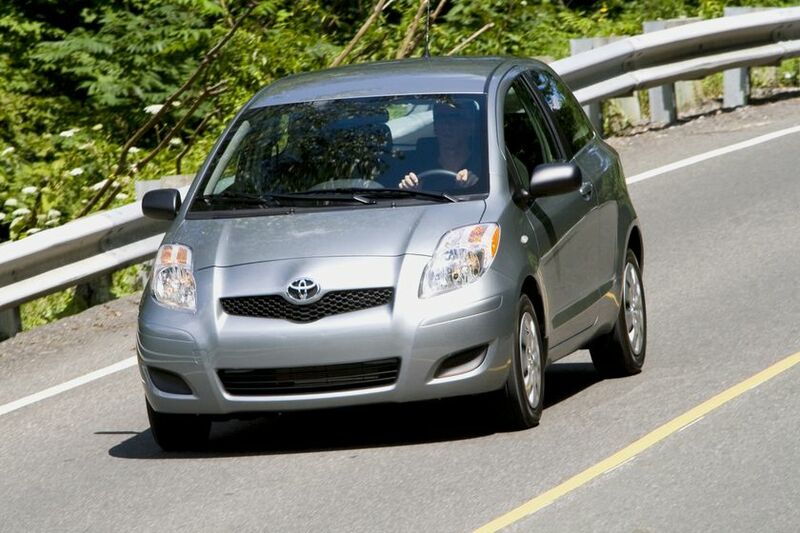 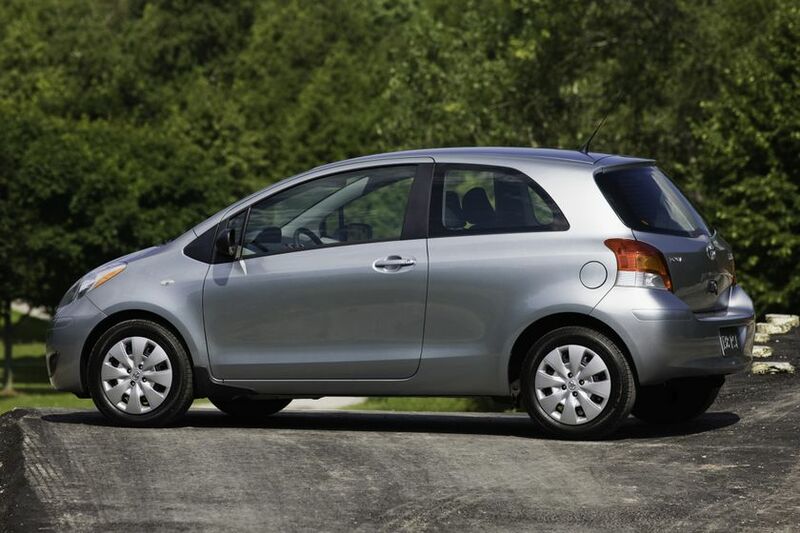 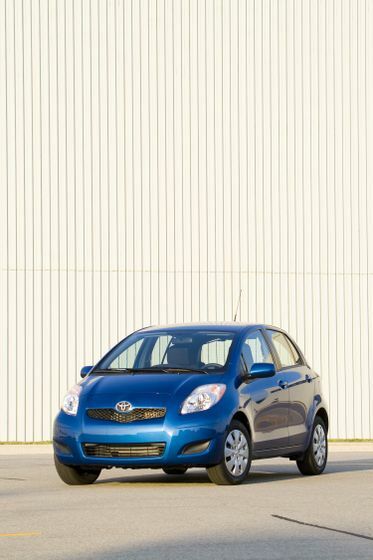 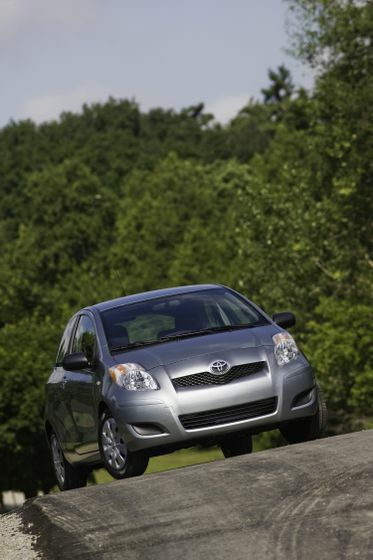 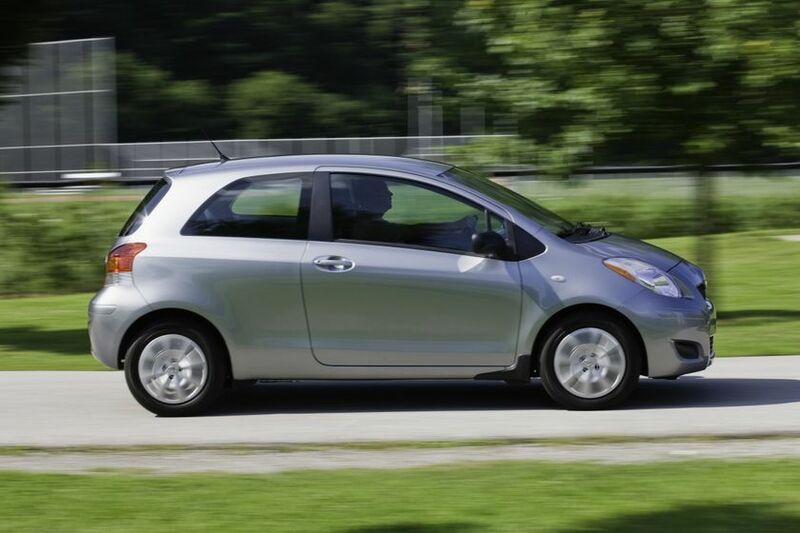 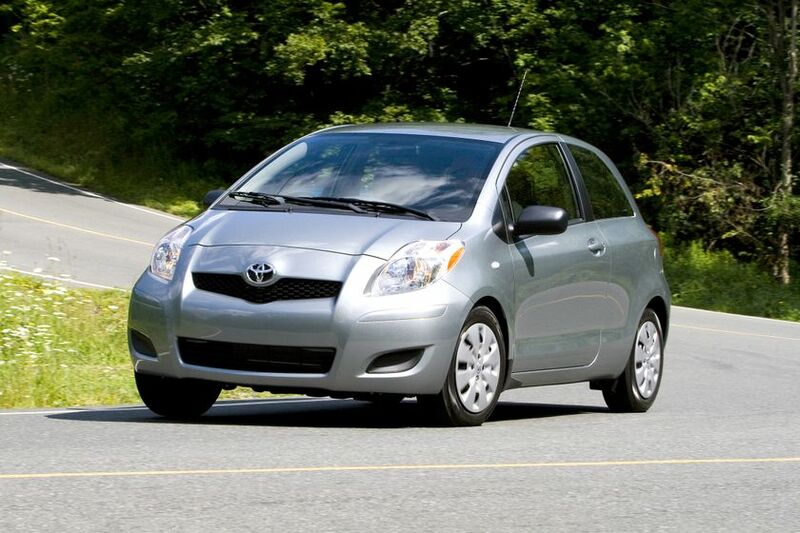 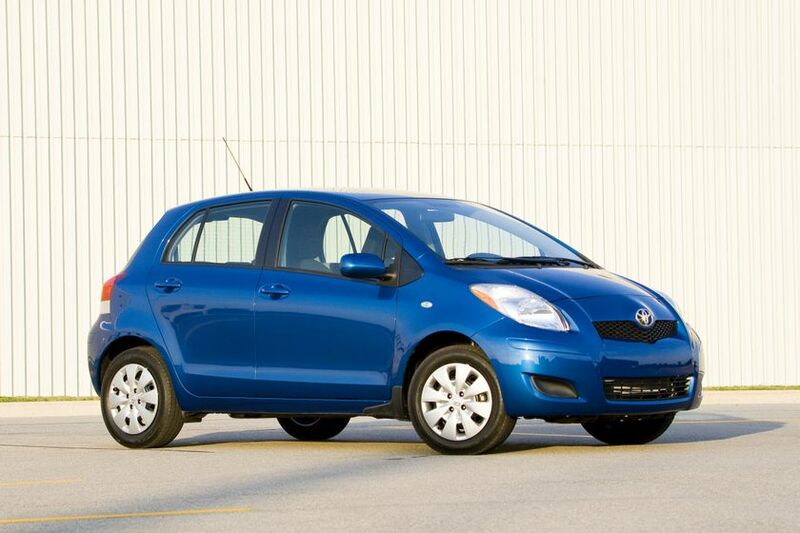 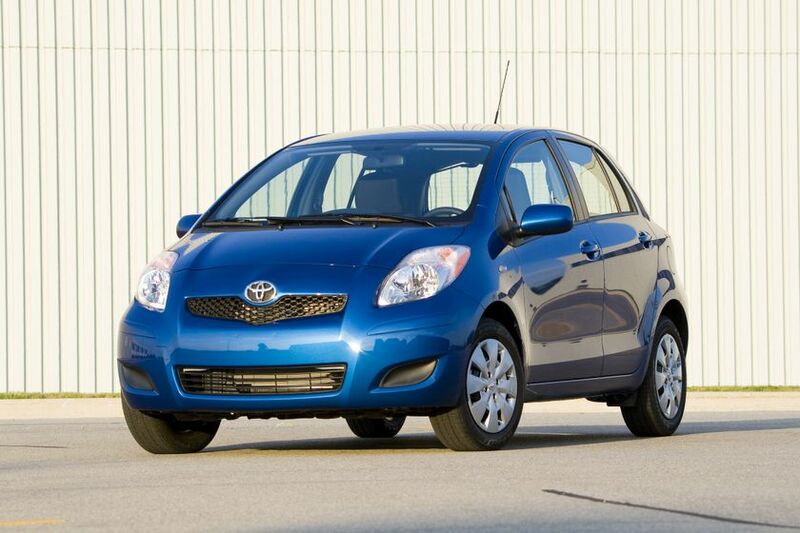 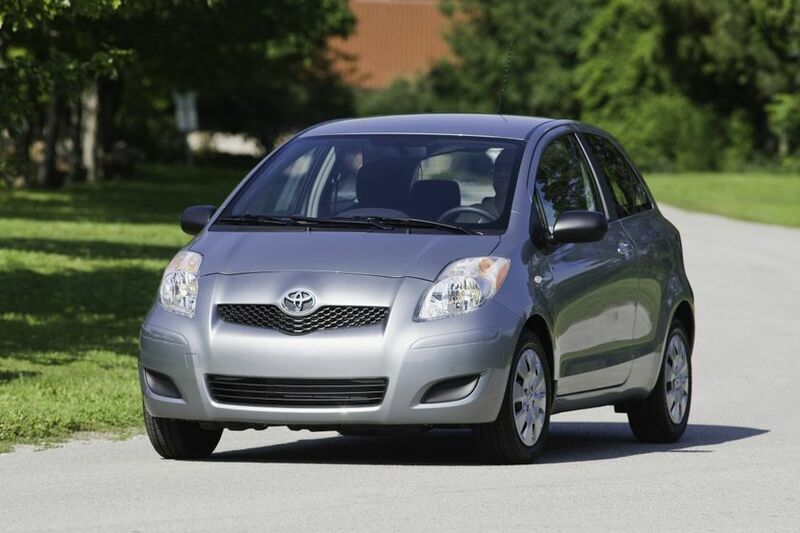 The 2011 Toyota Yaris Hatchback is now on sale at Toyota Dealers across Canada. 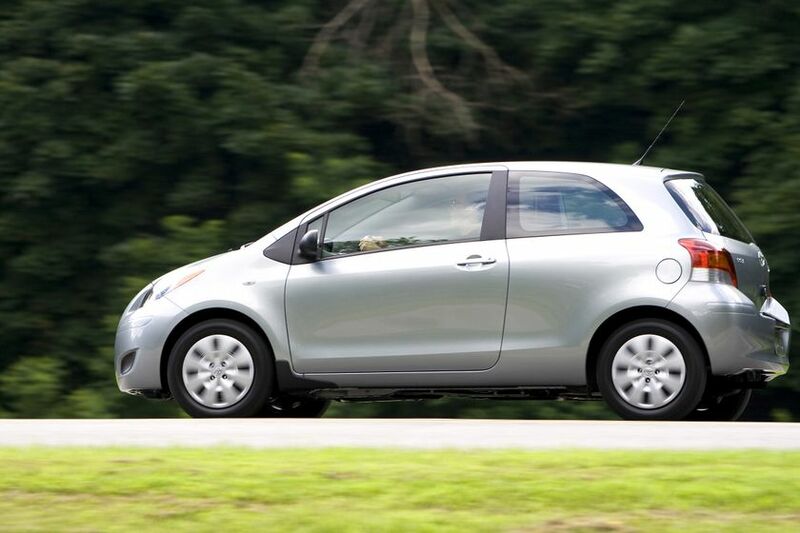 The three-door Yaris Hatchback CE carries a manufacturer’s suggested retail price starting at $13,995. 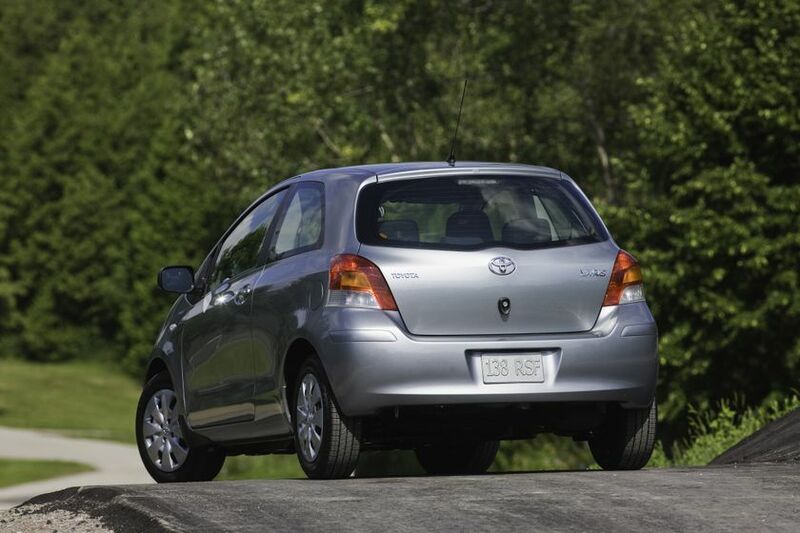 The five-door Yaris Hatchback LE starts at a suggested $14,915, while the five-door Yaris Hatchback RS carries an MSRP starting at $16,725.